Pune, June 17, 2015: We’re all about giving people the power to choose. That’s what drives us and that’s the idea behind the new Moto E 4G and 3G - that a great smartphone should be a choice for everyone. The new Moto E 4G variant is available for purchase exclusively on Flipkart for INR 7,999 and the new Moto E 3G variant is available for purchase exclusively on Flipkart for INR 6,999. Both Moto E 4G and 3G variants are introduced with multiple launch offers making the purchase even more exciting for our consumers. The new Moto E 4G which will help you connect to the world like never before. It comes with 4G and 3G speed, a 4.5-inch qHD display, front-facing camera, the latest Android™ software (Lollipop) and even more customization options. And, for the first time, we're bringing personalized software experiences that we introduced with Moto X to our most affordable device. The new Moto E packs a bigger smartphone punch for a fraction of the average smartphone cost and gives your phone a splash of color with interchangeable Motorola Bands and Grip Shells. One also gets premium Moto experiences like Moto Display for notifications and updates without interruptions and Moto Migrate to quickly and easily transfer contacts, photos and videos to your new phone from the old one. advantageous for mobile devices. The 5-megapixel rear-facing camera and a second camera in front is custom made for perfect selfies or video calls with family and friends. With two twists of the wrist, you can launch the camera with Motorola’s Quick Capture feature. 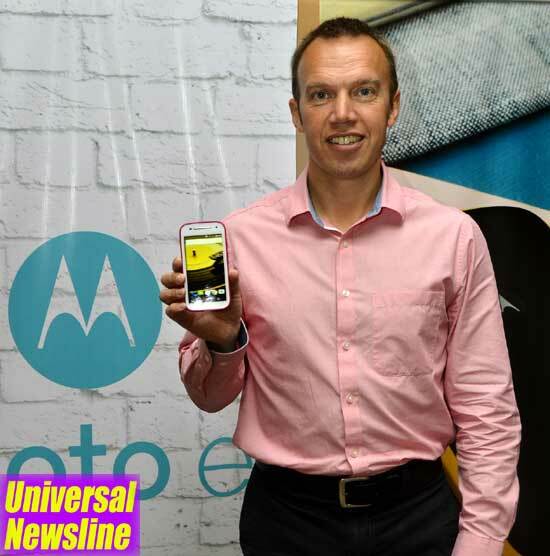 Moto E 4G users in Pune can stream music, videos and movies at a much faster rate than ever before and can also easily share information online! Motorola Mobility connects people to the mobile Internet with affordable devices that don't compromise on quality, experiences or style. For more information, visit motorola.com/in.